Wow! 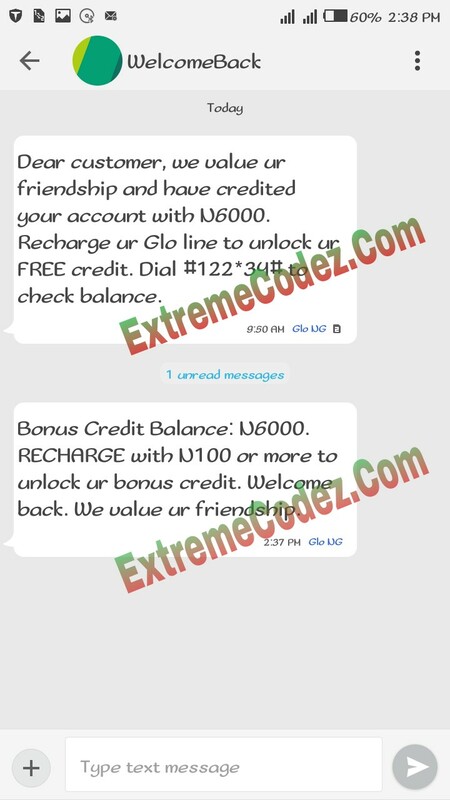 Glo is at it again giving it users Instant Free 6000naira worth of Airtime/Credit When You Recharge With Just N100, you will be given free 6000naira to make calls. 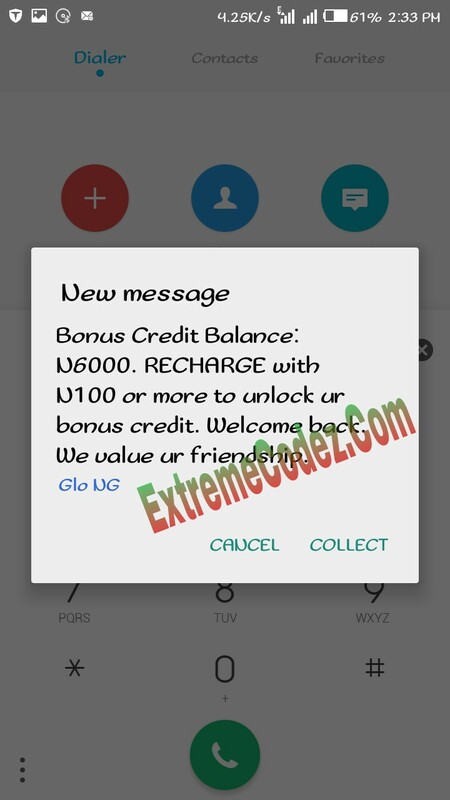 This free airtime give away from glo and it's called WelcomeBack it only applicable to glo users (Glo to Glo). Meanwhile does who have not used or recharged their glo sim for the past 1month or more, you will receive an SMS about having free N6000 airtime. Just few days back we talked about the Airtel X20 Bonus Offer N200 for N4000 and N100 for N2000 which is just similar with the glo welcome back. However if your a glo users all you have to do is look for where ever you dumped your glo sim, quickly clean up the dust and insert it into your phone for you to also enjoy cool 6000naira free airtime. Insert your glo line you have not used or recharge for the past 1month or more. Dear customer, we value ur friendship and have credited your account with N6000. 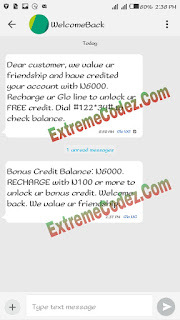 Recharge ur Glo line to unlock ur FREE credit. Dial #122*34# to check balance. 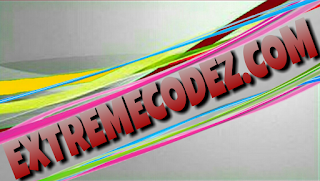 Now all you have to do to unlock the credit so that you can be able to make calls with it. Just recharge with 100naira airtime on your Glo sim. 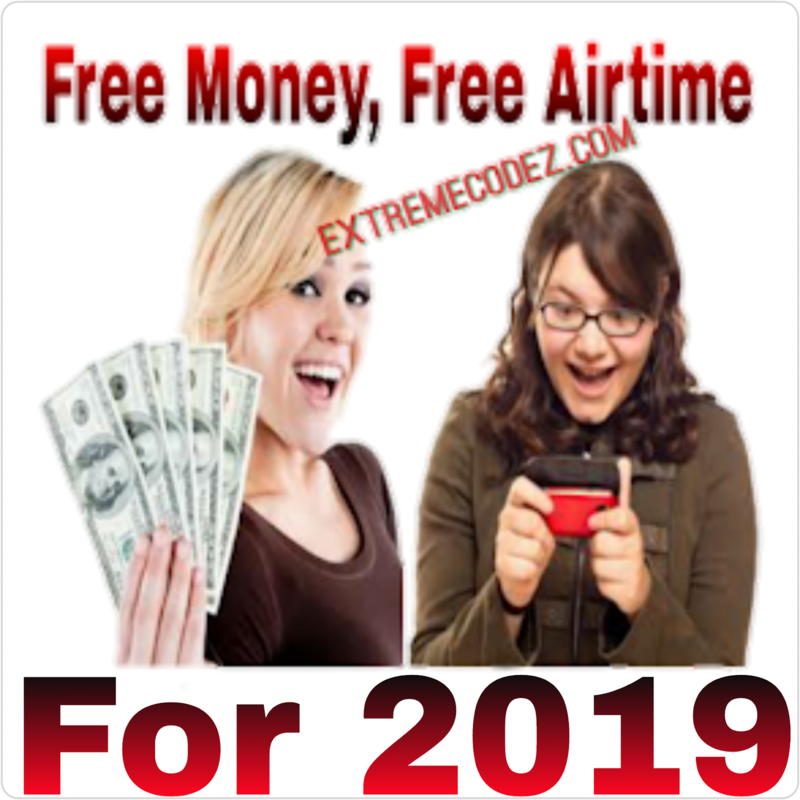 Now start enjoying your N6000 free airtime. Bonus Credit Balance: N6000. RECHARGE with N100 or more to unlock ur bonus credit. Welcome back. We value ur friendship. Don't forget to share your experience regarding the WelcomeBack offer from Glo. and now each time a comment is added I recieve four emails with the same comment.